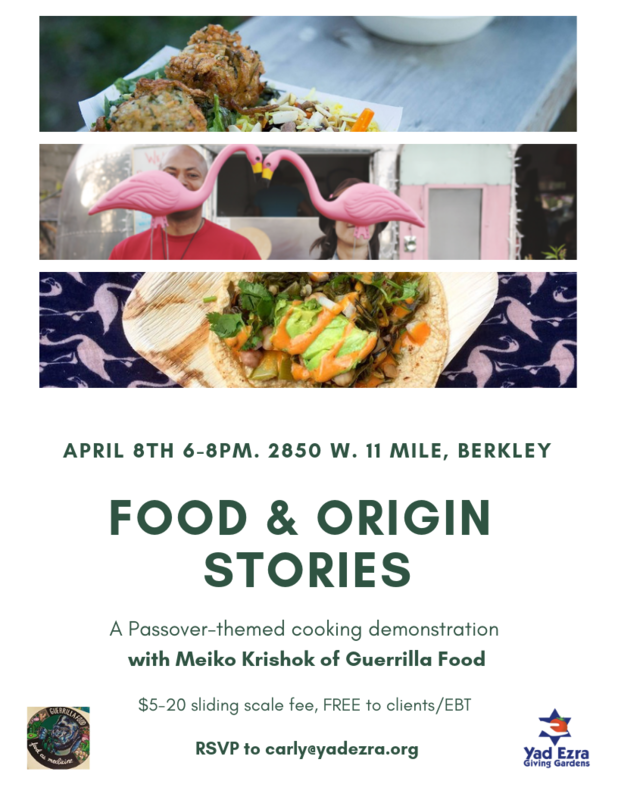 Join Yad Ezra’s Giving Gardens and Meiko Krushok of Guerrilla Food: Food as Medicine for this Passover-themed cooking class. The Passover story is the origin story of the Jewish people and our collective identity. We use food as a ritual tool to tell this story over generations. How else do we combine food and stories to develop a sense of place and identity? Meiko will share with us some of her own food stories at this cooking demonstration and tasting. Sliding scale fee of $5-$20 covers the cost of materials and educator fee. FREE to clients/EBT holders.